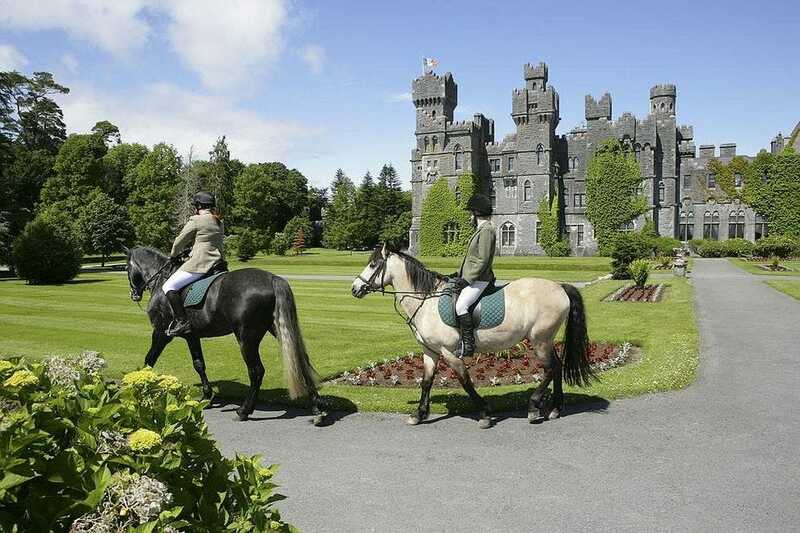 Ashford Castle knows how to make a good first impression. It has had years of practice, after all. Dating back to 1228, and once home to the Guinness Family (yes, that Guinness), the 800-year-old castle is steeped in Irish history. Located less than an hour’s drive from Galway, the castle features 83 lavishly appointed rooms that combine modern conveniences, like heated bathroom floors and plush bathrobes, with the castle’s original charm and features. But chances are you won’t spend much time in your room. The Ashford Estate is home to everything from a golf course and equestrian center to soaring hawks and Irish Wolfhounds. With so many options, and never enough time, here are the 10 best things not to be missed during your stay. You’ll just have to plan another visit, or two, to take advantage of the many other activities the castle has to offer. 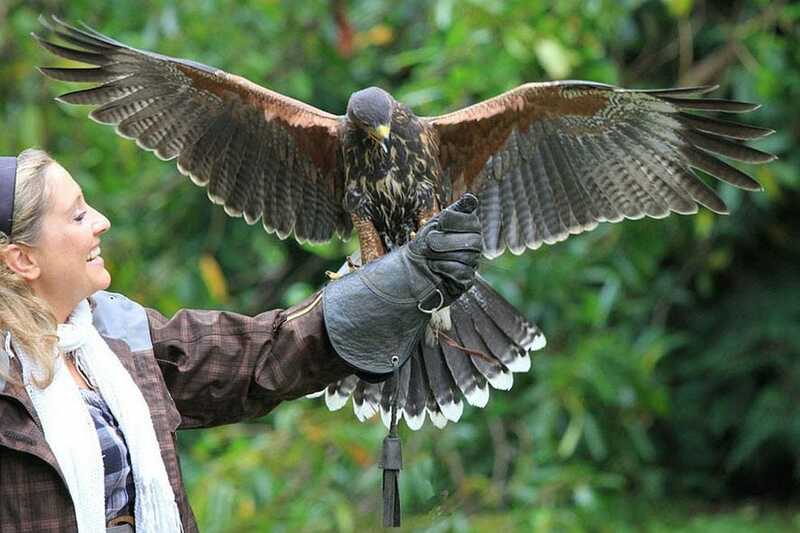 Set on castle grounds, Ireland’s School of Falconry is the oldest established falconry school in the country. And Harris’s hawks are the star fliers of the Hawk Walks. No previous experience is necessary; the hawks follow along as you wander the castle grounds, moving from tree to tree, before swooping down to your gloved fist with ease. If it’s a rainy day, don’t let the liquid sunshine dissuade you. Ashford Castle has raincoats and boots for guests to borrow at any time during their stay. 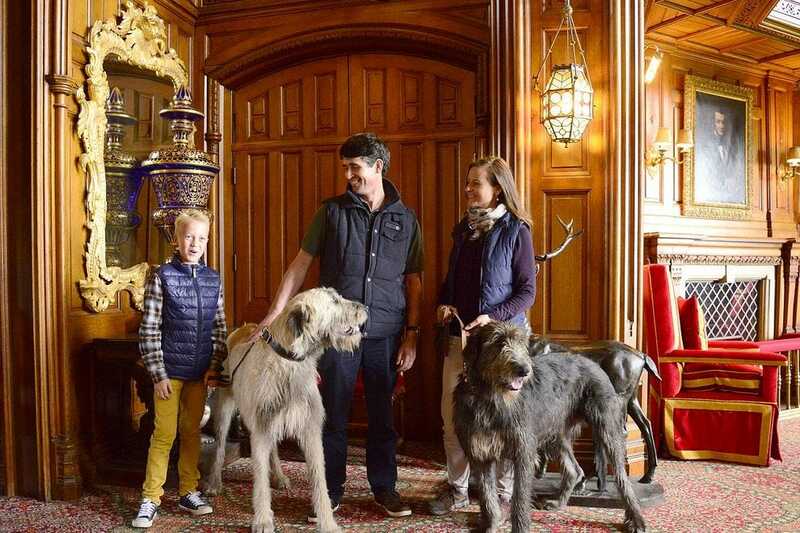 You have to roll out of bed a little early, but you won’t regret joining Cronan and Garvan, Ashford Castle’s resident Irish Wolfhounds, for their 8:30 am walk. In addition to the canine companionship, the walk comes with some stunning castle views you might not find on your own. If you oversleep, all is not lost; the duo visits the castle’s Oak Hall from 10 am to 11 am daily. Complete with wood paneled walls and Waterford crystal chandeliers modeled after light fixtures in the White House, plan on enjoying a meal in the George V Dining Room. At breakfast, try porridge (oatmeal) the Irish way – with whiskey. Your server will know exactly how much to add. Dinner is a graceful, but still comfortable affair, with beautifully plated dishes that utilize locally-sourced ingredients whenever possible. 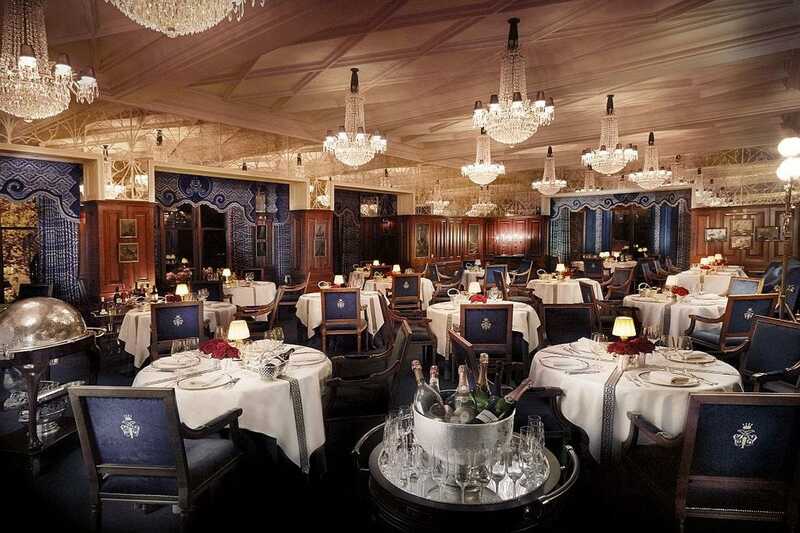 A jacket is required for men (and a tie is preferred) during dinner at the George V Dining Room, so pack accordingly. And know that you won’t want to share. 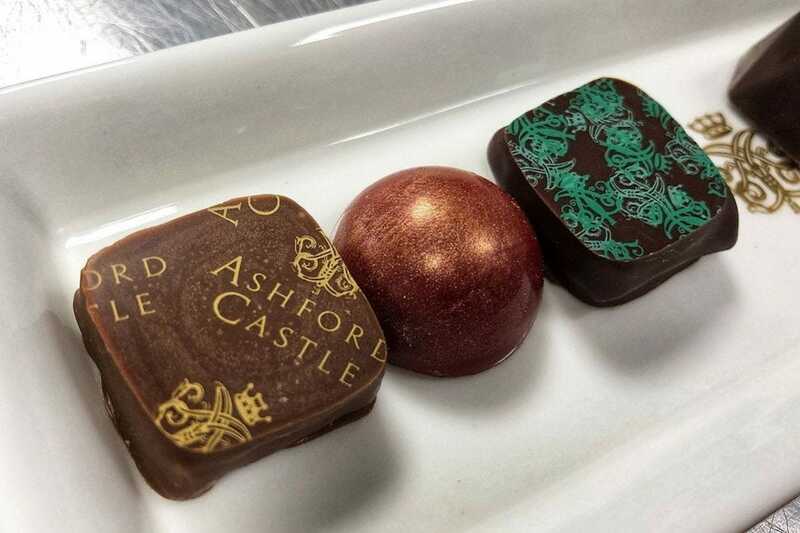 Ashford Castle’s award-winning pastry chef works magic with chocolate, and just about everything else that she touches. Chocoholics should ask if she’s leading any chocolate experiences during their stay. 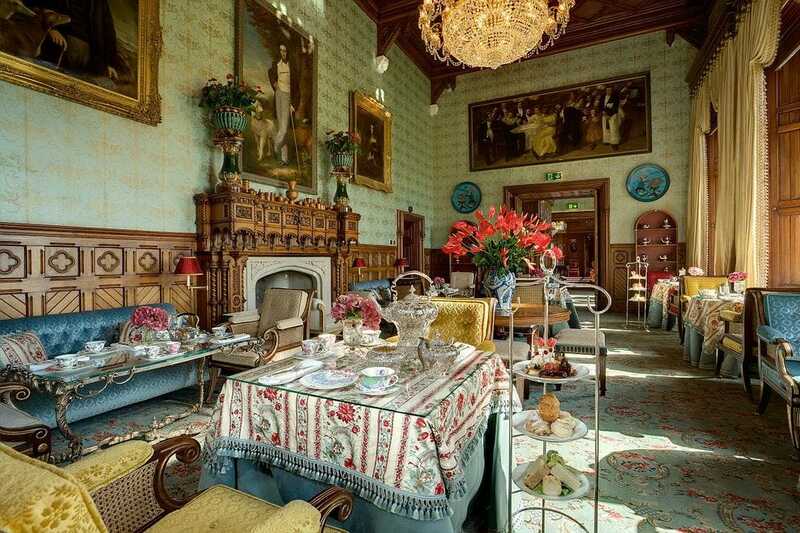 Afternoon tea is a relaxing tradition at Ashford Castle that dates back to 1868. Service starts with a selection of finger sandwiches including chicken, beef, eggs and prawns. Fruit, cheese and plain scones are delivered to the table, still warm, with homemade lemon curd, jam and clotted cream. Save room for sweet treats the likes of eclairs, lemon tarts and chocolate mousse tortes. In addition to an assortment of teas including black, herbal, white, green and flavored, guests can add champagne to the indulgence. 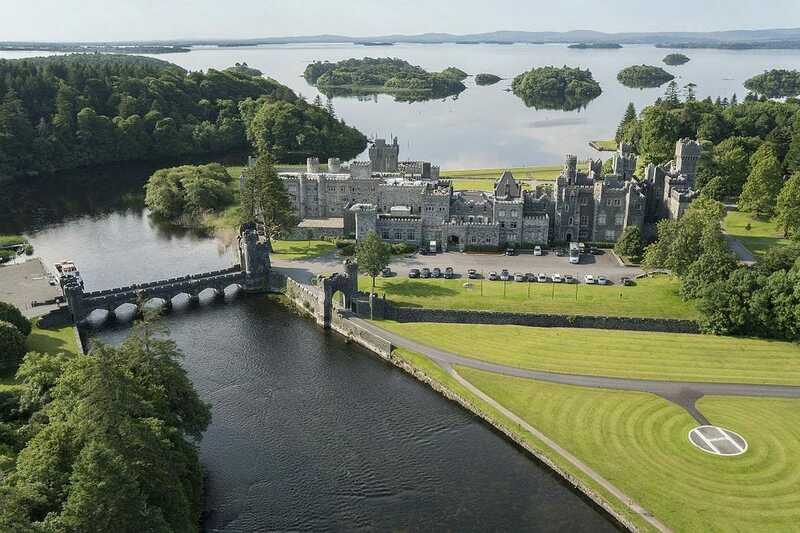 Set on 350 acres, half the fun is getting lost at Ashford Castle. You can bring along the map you received at check-in or just wing it when you set out to explore. From a billiards room, equestrian center and nine-hole golf course to The Dungeon that serves as a bistro and secret tunnels, you never know what you might discover. If that doesn’t keep you busy, think about giving zip-lining, fly fishing or archery a try. 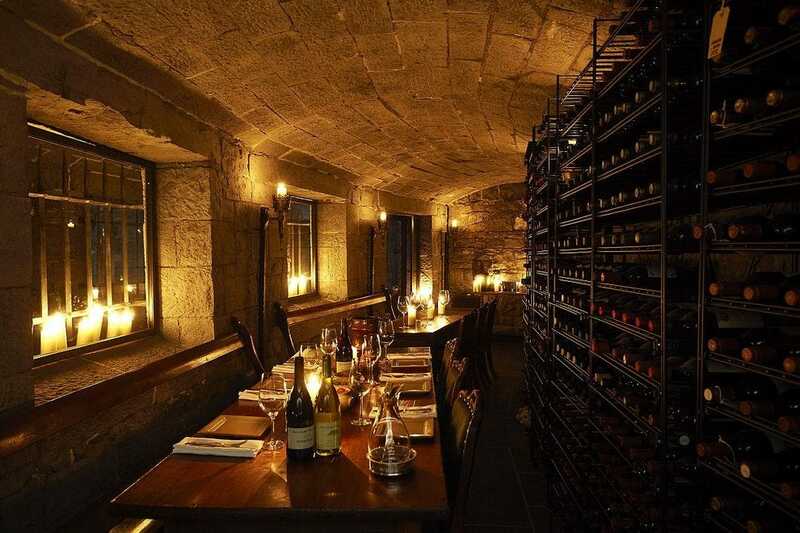 An underground tunnel that was once a coal bunker and servants’ entrance during the 19th century has found new life as the castle’s wine cellar. Boasting more than three thousand bottles from a dozen-plus countries, private tastings can be arranged for beginning and advanced wine enthusiasts in one of three private tasting rooms. Each tasting lasts about an hour. The spa offers a variety of treatments, ranging from massages and facials to manicures and pedicures. But even if you can’t squeeze in time to pamper yourself, take a few minutes to jump into the indoor relaxation pool. Even if you don’t make a splash, it’s worth the trip just to see the Tree of Life mural that runs the length of the pool. 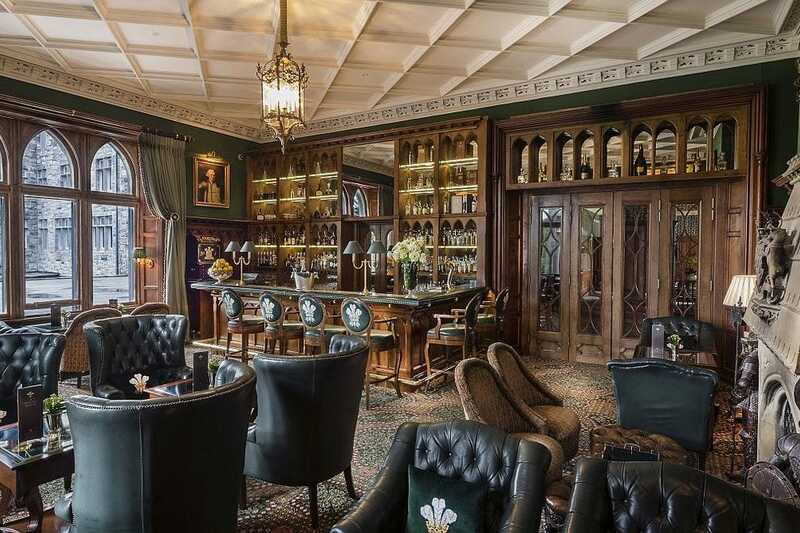 Named in honor of a visit by the Prince of Wales in 1905, it originally served as the Prince’s private bar during his stay at Ashford Castle. Today, guests can sit by the fire and enjoy a Guinness or cocktail. Whiskey fans can indulge in a single cask Irish whiskey produced exclusively for the castle by Midleton Very Rare whiskey. 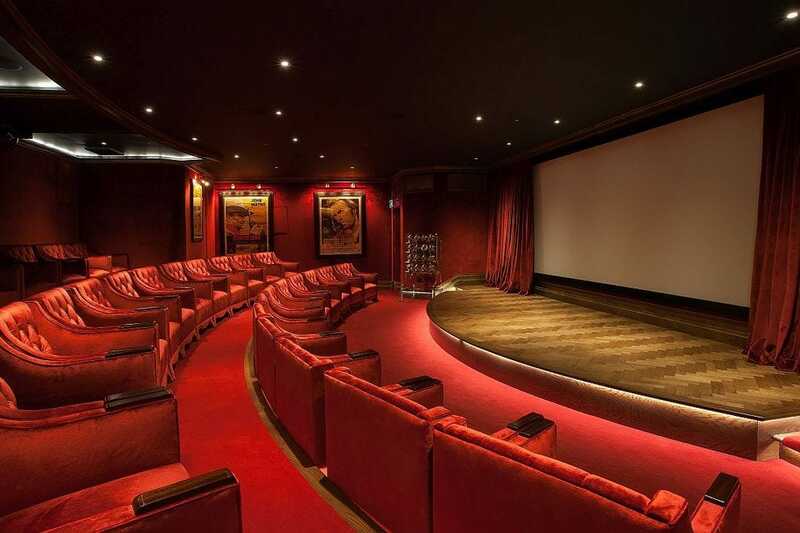 It shouldn’t really come as a surprise that Ashford Castle is home to a movie theater fit for a king. Complete with classic movie posters, popcorn and 32 cushy, red velvet seats, the cinema offers daily screenings of classics and Hollywood blockbusters. Feel free to bring that drink you ordered at the Prince of Wales Bar.